ILGA welcomes the new United Nations High Commissioner for Human Rights, Michelle Bachelet, former Chilean President. Bachelet’s personal and professional experiences places her in a position to lead the office and to continue working on the promotion and protection of human rights. We hope that the new UN High Commissioner is proactive towards the protection of human rights of all people, including lesbian, gay, bisexual, trans and intersex persons. We also would like to thank the outgoing High Commissioner, Zeid Ra'ad al-Hussein, for all the support that he has given to our communities. Since assuming his functions in September 2014, Zeid has always been committed to the human rights of LGBTI people, by making ground-breaking recommendations to governments on how to better protect the rights of LGBTI persons, among others. He has publicly denounced cases of violence and discrimination based on sexual orientation and/or gender identity. He stood firm on the fundamental principle that we are all free and equal. 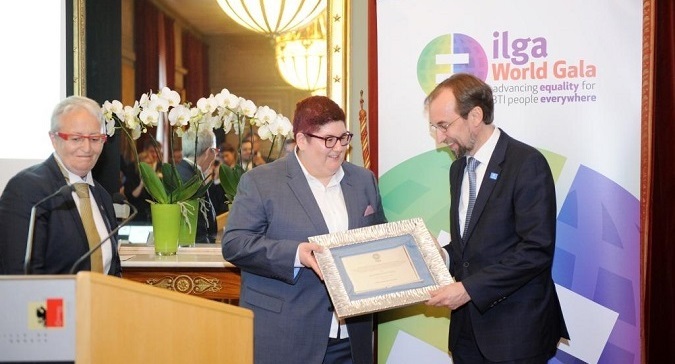 ILGA thanks him today for his support, for the independence that he brought to the job and for having a critical stance when the world is facing massive human rights violations, and we wish him well for the future.